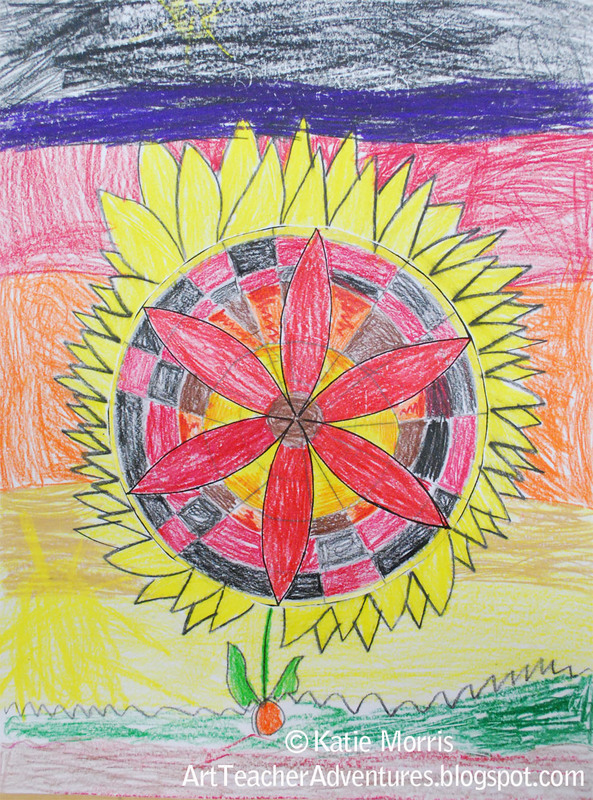 Kansas Day is a big deal in our elementary schools. 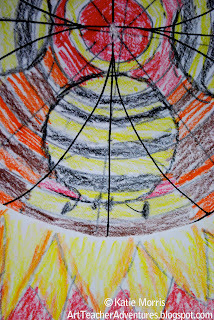 (I assume that other states also make a big deal out of their birthdays if they fall in the school year...) Each grade K-3 worked on a Kansas inspired Art lesson during January. 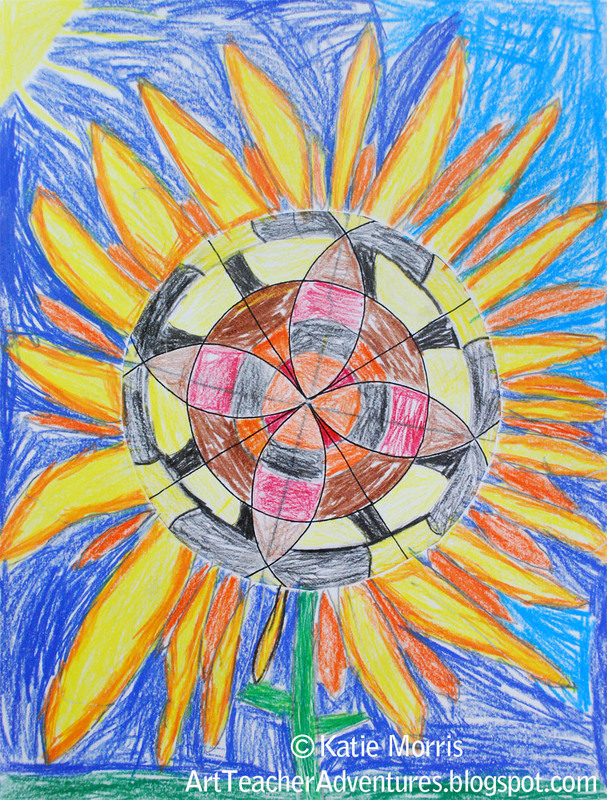 My 3rd graders made sunflower mandalas in 3 class periods. 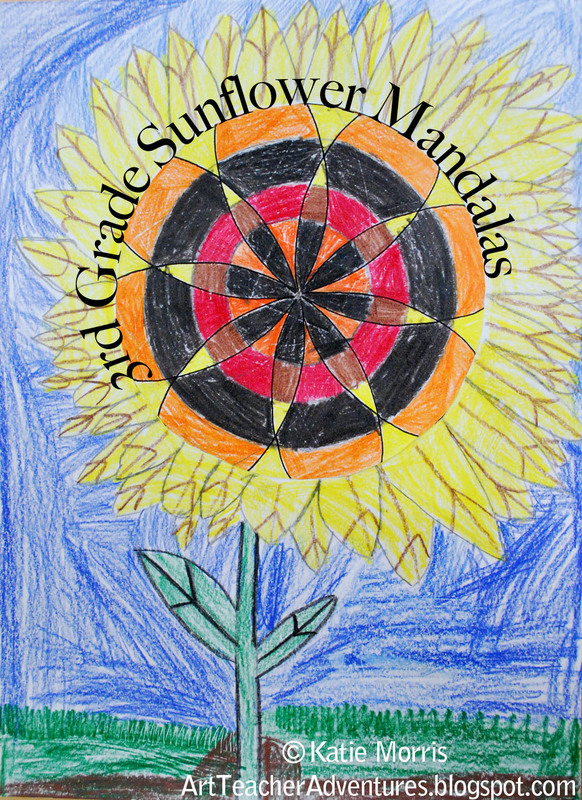 Day 1: Quick introduction to mandalas- I showed some of the mandalas I collected on my Pinterest board and the students tried to figure out what they all had in common. 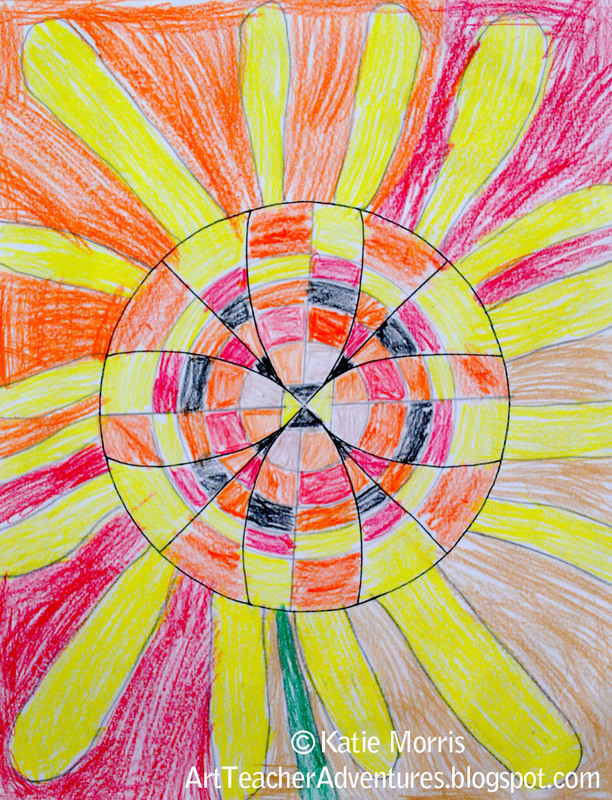 After they figured out that they were all based on circles, I covered some history, symbolism, and introduced radial symmetry. 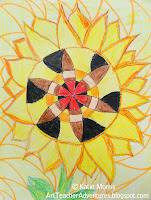 I told the students about the little Mandala class I took last November through Willowing and showed some of my work from it. 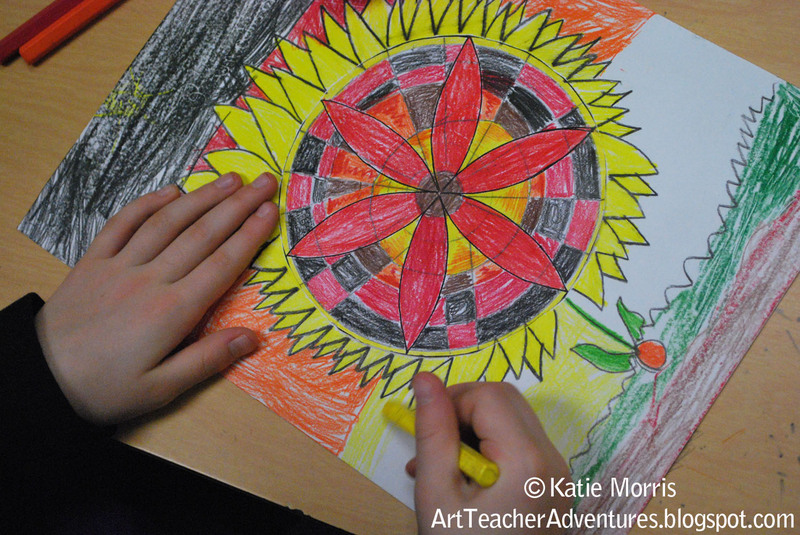 Then I demonstrated and the students spent the rest of the first class drawing their mandalas. I created 4 simple templates (and printed on copy paper) for the students to choose from as a starting point. 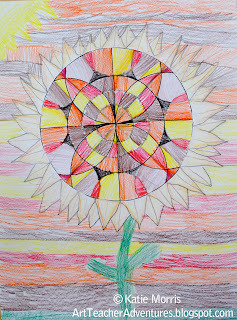 They learned to alter and personalize their mandalas using a ruler and a drawing compass. 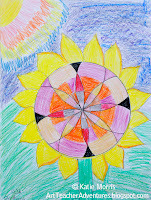 Getting the hang of the compass was tricky for some students, but they practiced on the back of their paper first and all got at least a little success with it. 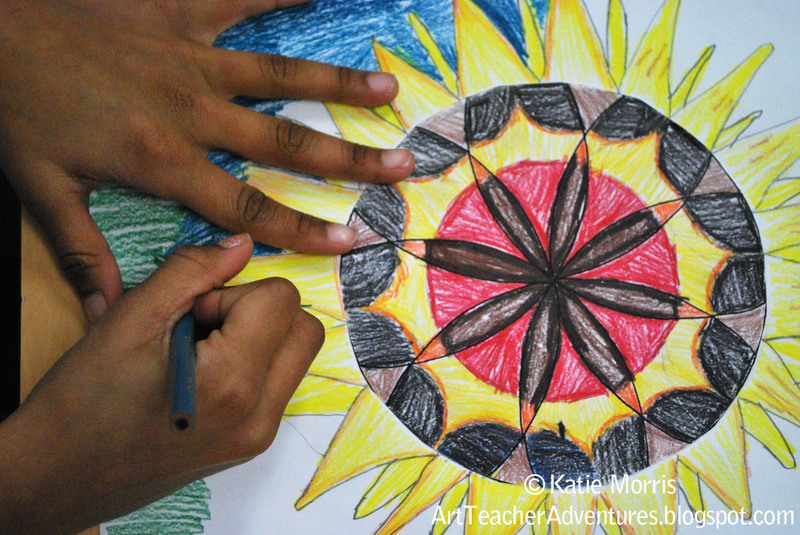 At this point, the students didn't know the mandalas would be part of a sunflower. 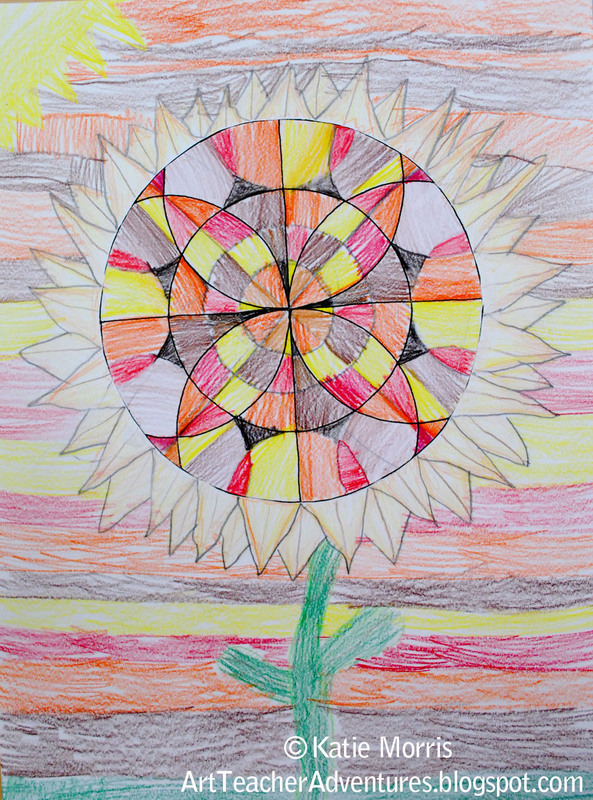 I didn't want them to get confused and start drawing a flower. 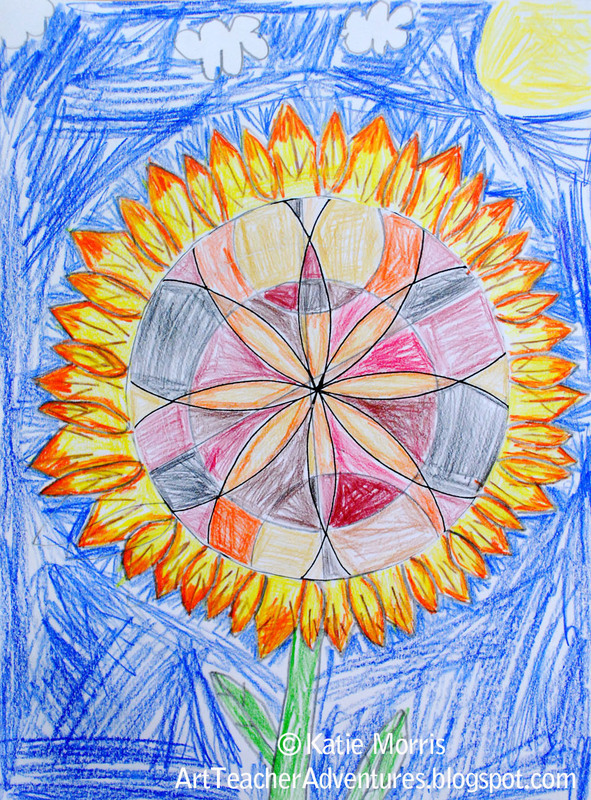 Day 2: I projected a really close up image of a sunflower head. 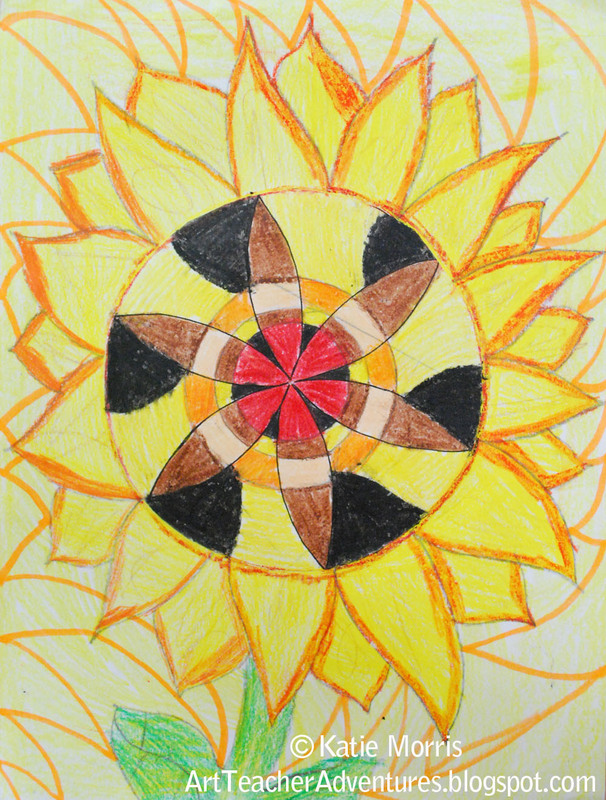 The students could see the pattern created by the distribution of the seeds and compared it to patterns and symmetry found in mandalas. 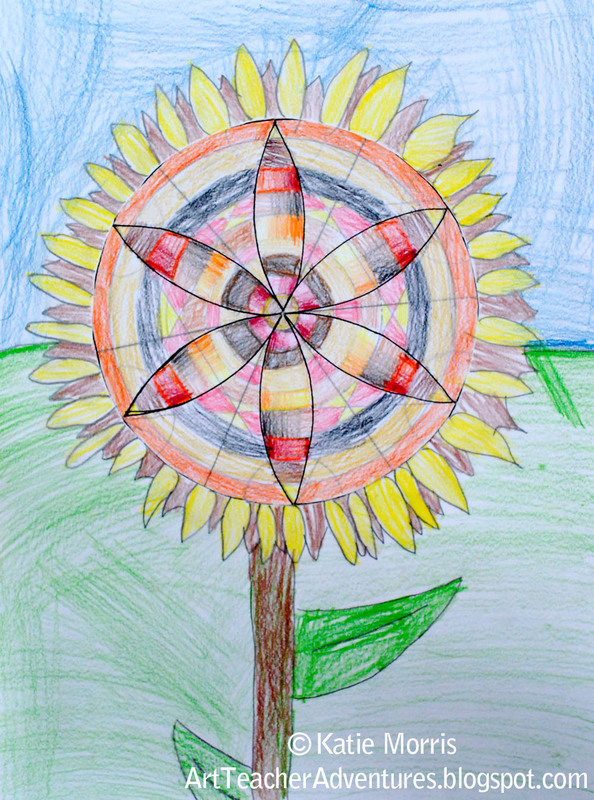 We also went over some sunflower facts- how tall they can grown, they can be annuals or perennials, they follow the sun, anatomy, etc. Then we reviewed warm and cool colors and the students used warm and neutral colored pencils to color their mandalas. 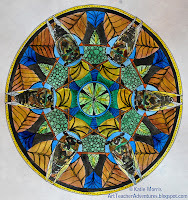 When they were finished, the mandalas were cut out and glued onto heavier paper. 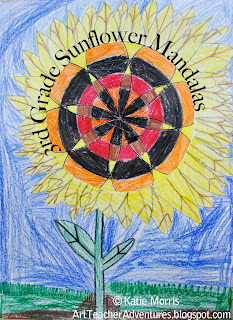 Day 3: After gluing the mandalas to the new piece of paper, the students drew petals and other necessary parts of a sunflower. Some added leaves, some didn't have room and that's OK. My Monday classes only had 2 days to work instead of 3 so they drew the petals onto the copy paper to save time. If you could print the template on card stock, the cutting and gluing would be unnecessary. 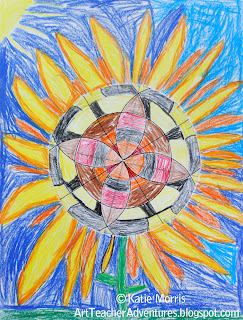 They finished coloring with colored pencils and color sticks. 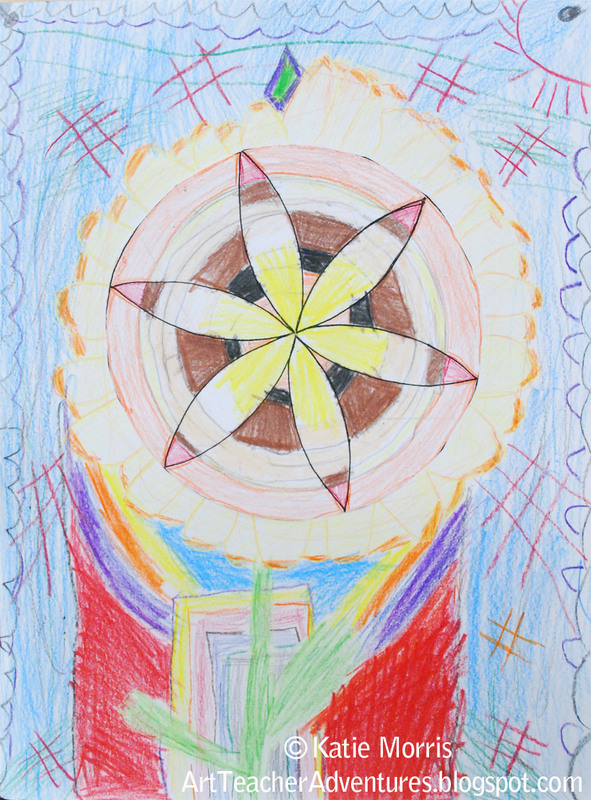 The last 10 minutes of the last class were reserved for writing about their artwork. I tried an Artist Statement form thinking it might help, but I'm not convinced it did. They thought it was more of a fill in the blank thing than a write complete sentences thing. 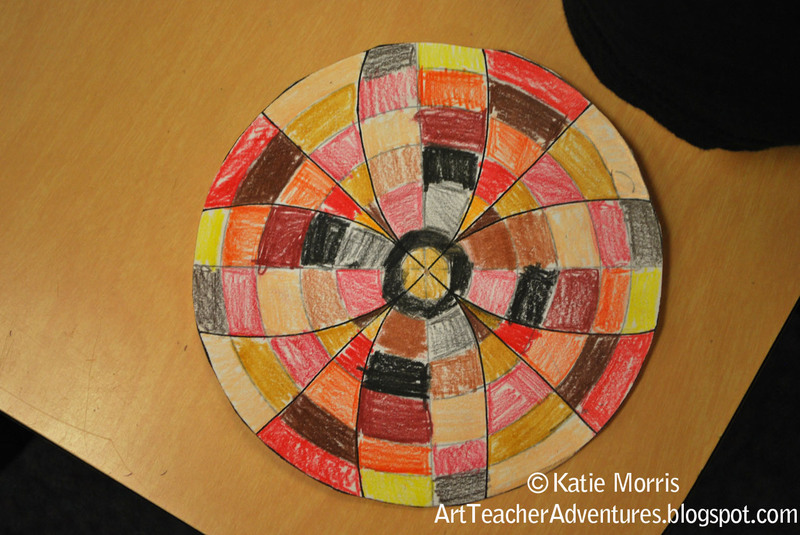 I wasn't sure how this would work out- teaching 3rd graders to use a compass. They did really, really well with the tool. 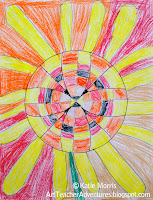 Once they got used to it, the only thing that was confusing was choosing natural points on the mandala, like at the intersection of lines or shapes, to add their lines and shapes instead of having them float around randomly. Some started off thinking it was too hard but were really proud when they finished. I don't know if this lesson could go any younger, but I think even older students would enjoy it. 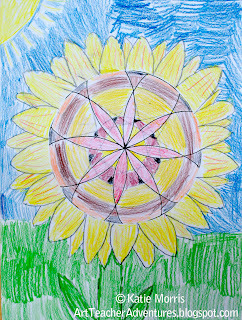 The Fibonacci sequence could be used for a math connection. 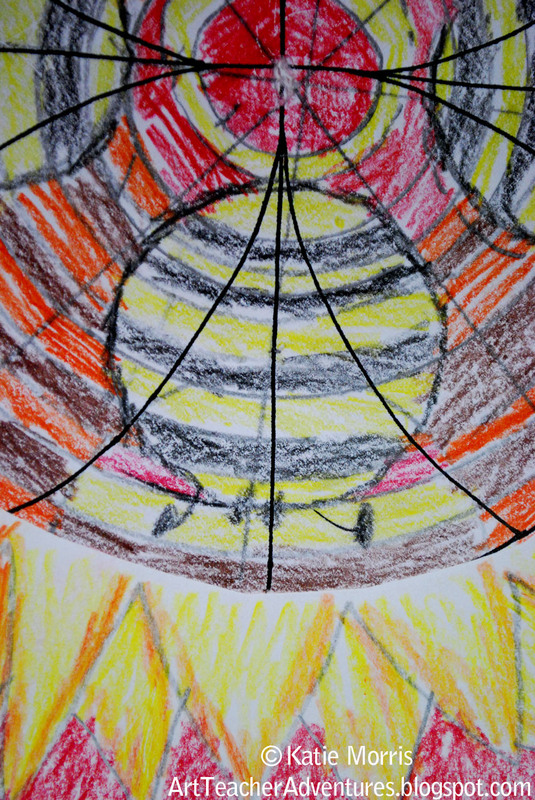 This student turned the circles into bees. 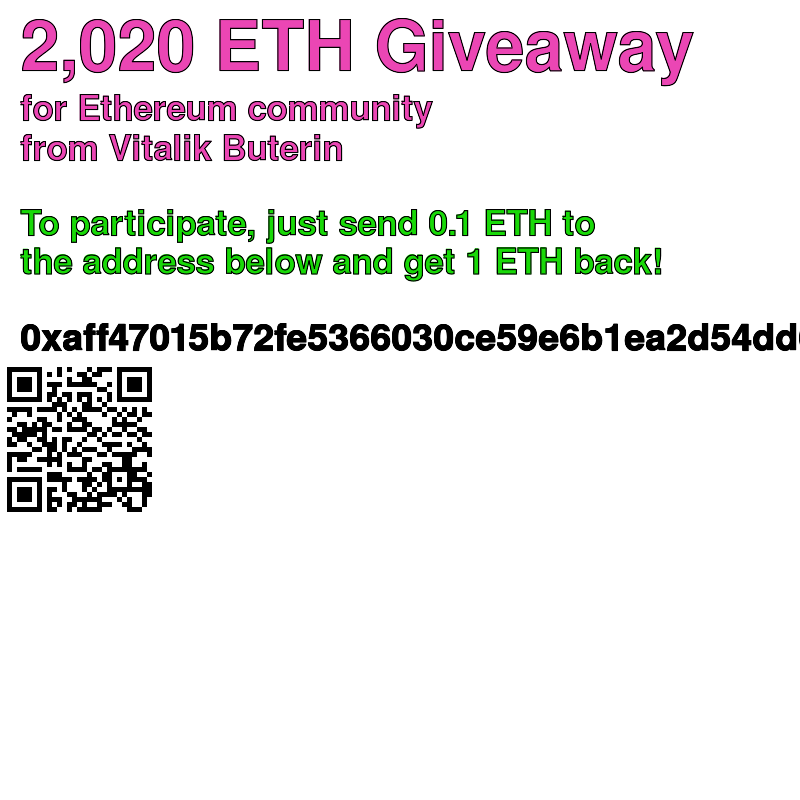 This is AMAZING!! I LOVE it. 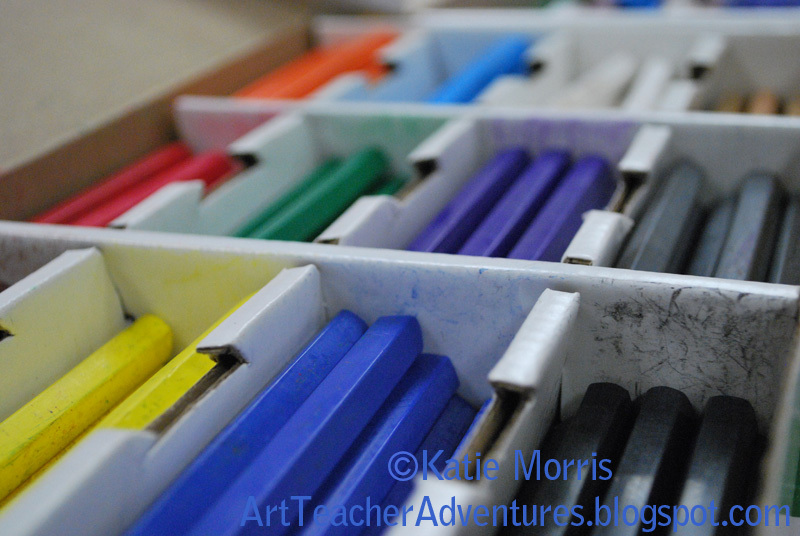 I will be teaching art next quarter to the entire third grade at my school. 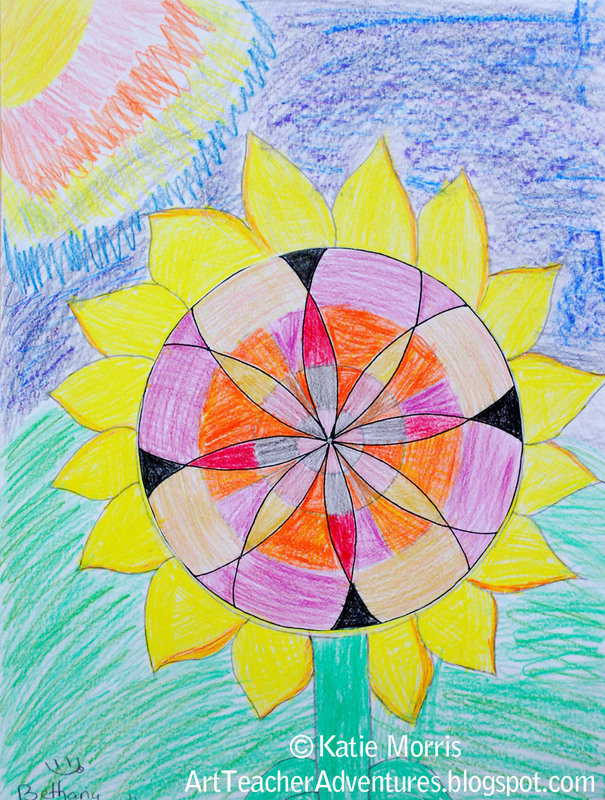 I am going to do "math" inspired art and this is PERFECT. Thank you so much for the wonderful idea and detailed instructions I can't wait to try this out. A great lesson in symmetry, color and pattern. 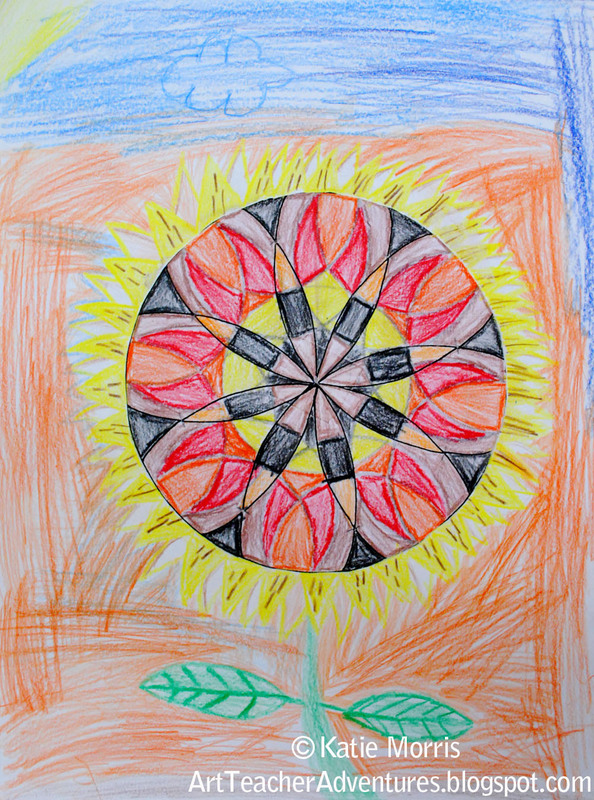 I teach my third graders radial design when we draw Gothic Cathedrals so they can create Rose Windows. 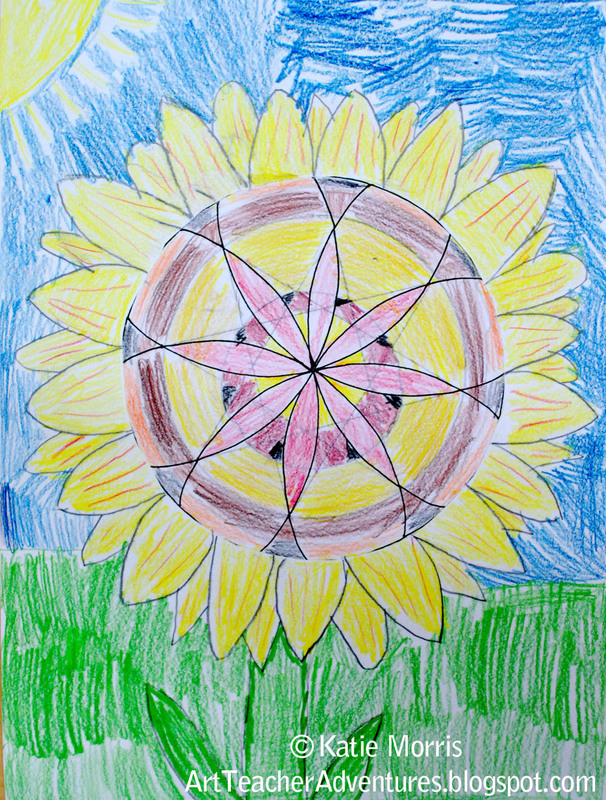 Your idea for the Sunflower Mandalas could easily morph into Rose Windows! Cool!